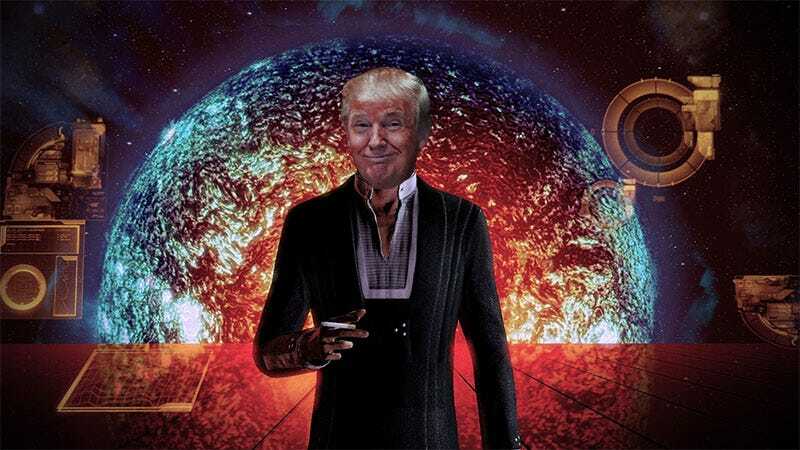 I’m Commander Shepard, and this is my least favorite racist on the Citadel. Yes, that is Mass Effect music and voice acting throughout the ad, which appropriately ends with a title card reading “TRUMP EFFECT.” I think we’re supposed to understand that Hillary Clinton is one of the Reapers in this analogy? A Reaper...dog? I’m not sure, because really, the ad is hilariously terrible. Trump didn’t make the Trump Effect ad of course; he credits another Twitter account, who credits a YouTube account, which redirects to “Commander Trumpard.” It’s entirely possible that whoever made it initially meant it as a troll. Whatever the origins, Trump has seen it and deemed it worthy enough to share/endorse. What a time to be alive.